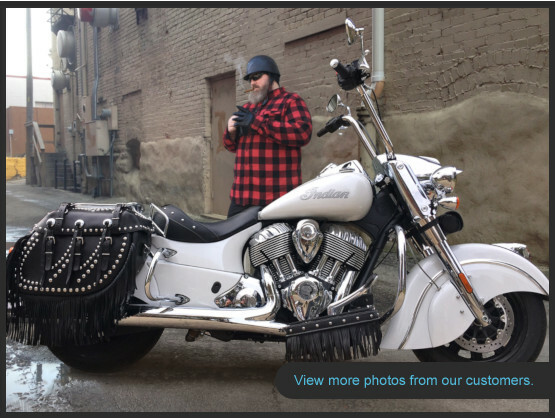 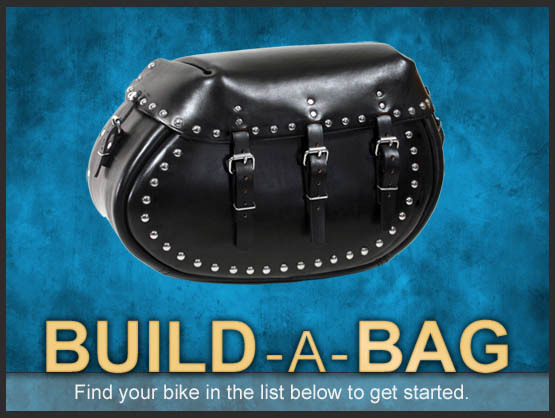 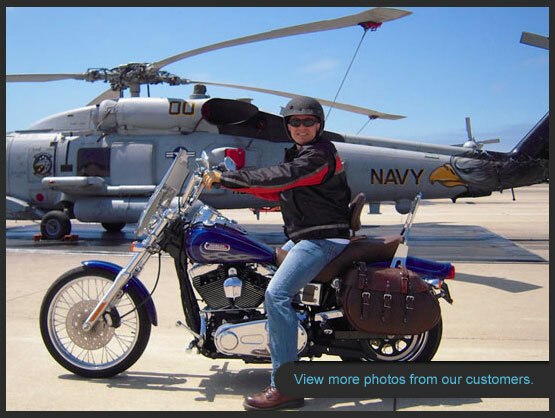 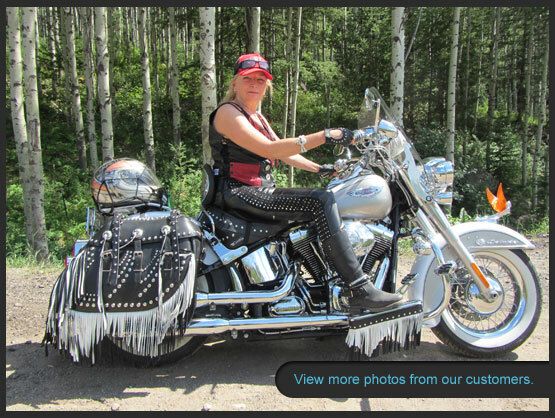 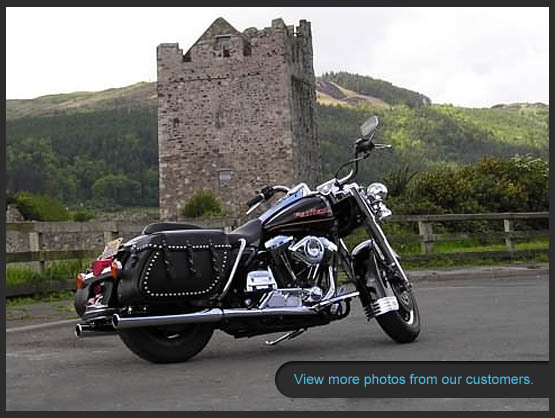 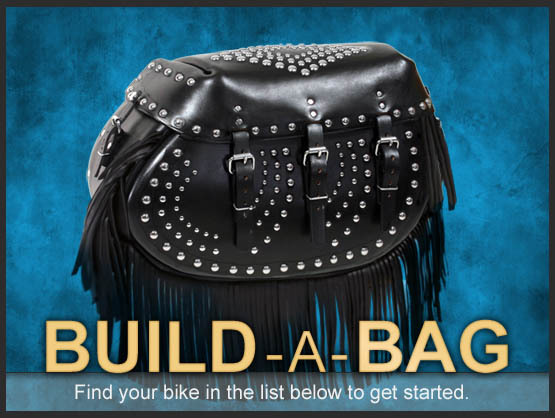 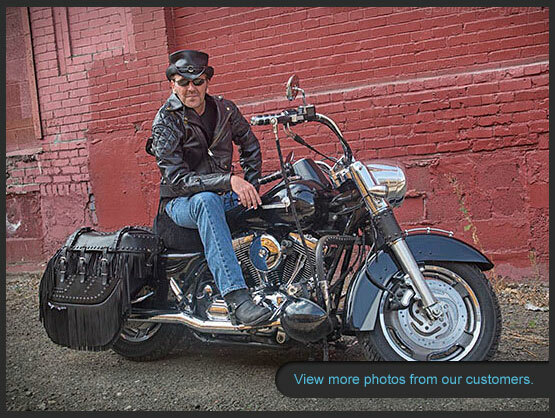 Custom design your own leather saddlebags. Find your bike in the list below to get started. 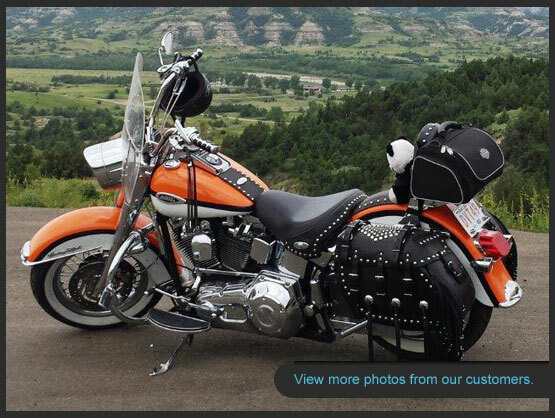 Tailored to fit perfectly, your Harley saddlebags are handcrafted at a family-owned leather shop in Wisconsin. 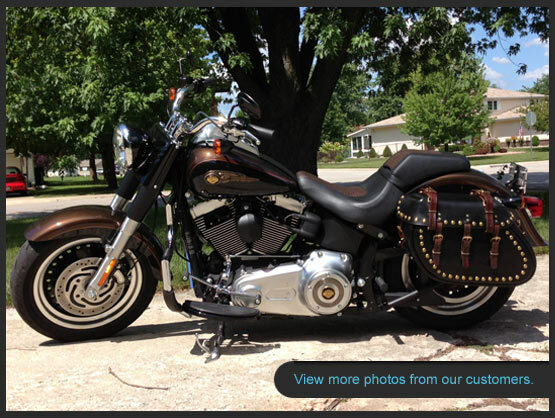 With 30 years of experience, we offer expert customization and craftsmanship. 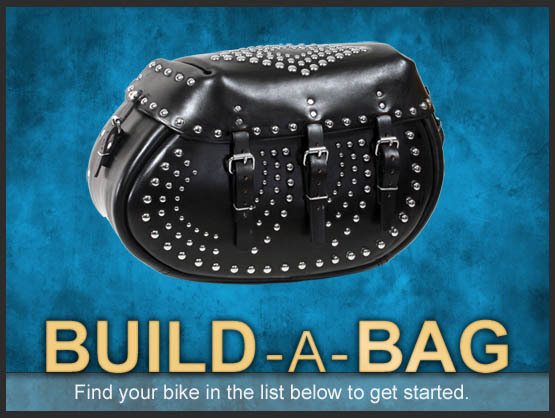 Our custom leather saddlebags are made with only superior materials. 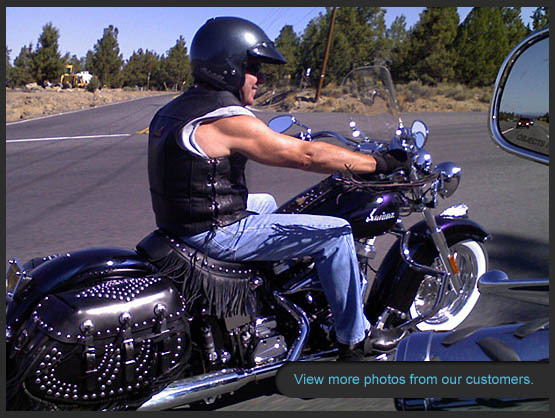 Attention is paid to every detail including stainless steel hardware, nylon thread, and quality dye. 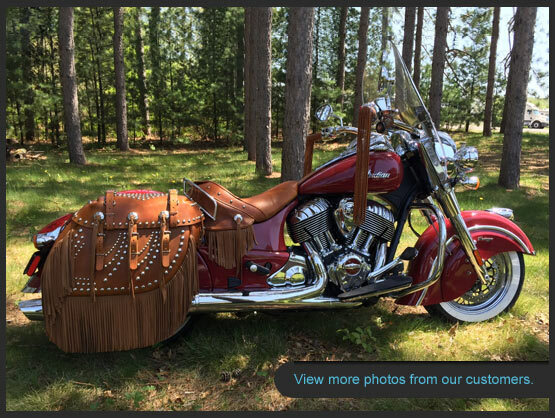 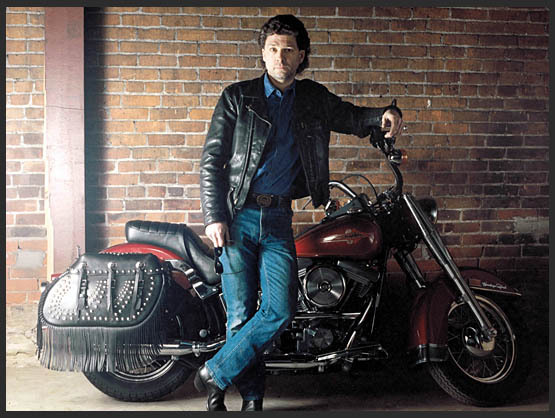 The saddlebags are made with top grain, American saddle leather from Hermann Oak Leather Company. 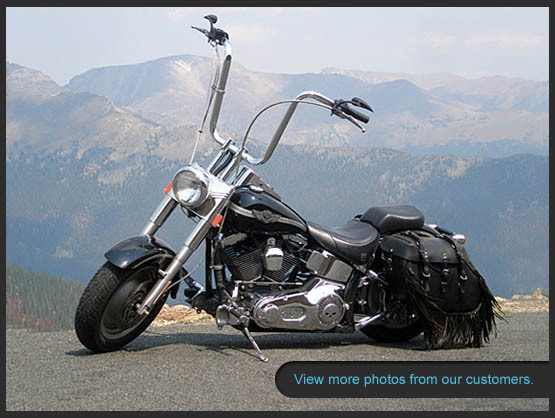 Your Harley saddlebags also have fiberglass backs to provide strong support and a secure mounting to your motorcycle.